Inspired by Bottega Veneta's signature butterfly, this rigid necklace is entirely crafted from sterling silver and showcases an exceptional hand-wrought pendant. 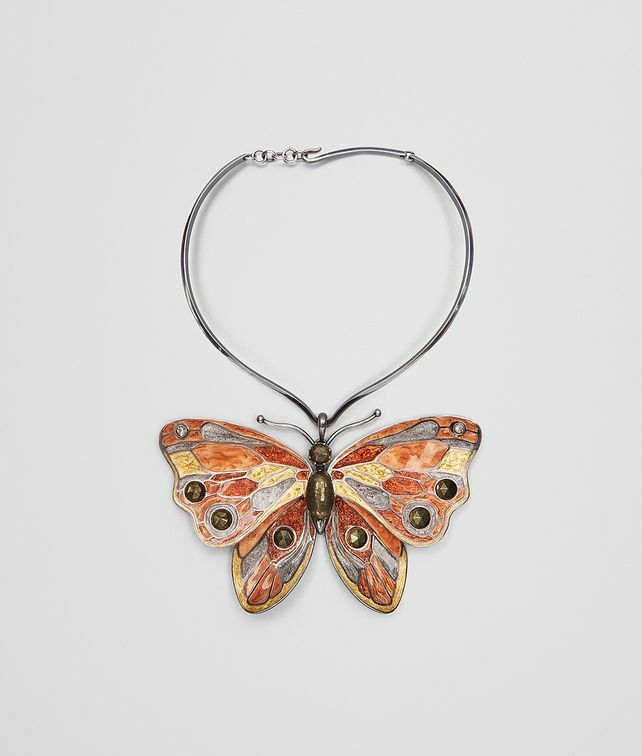 The sinuous butterfly wings are enameled in luminous brown, gold and silver tones, and set with faceted chalcopyrite and cubic zirconia stones. The back of the jewel is finely engraved with the intrecciato pattern and features an adjustable hook fastening.